How Many MLM Prospects Should You Approach Every Day? Mark Yarnell taught me that if you aren’t talking to at least five to ten MLM Prospects per day, you aren’t serious about your network marketing business! This advice applies to part-timers too. Most network marketers fail. Ask anyone on your team if their team is growing and you will probably have them look at you like a deer in the headlights. Well, you can’t build a successful business of ANY KIND if you don’t share it with others. 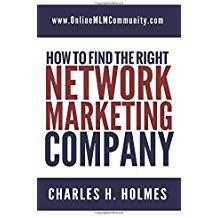 Most people don’t grow a successful network marketing business because they don’t work the numbers. They don’t share the business opportunity or products with enough people to experience any kind of growth. As a result, they don’t sponsor many people (if anyone) or get many customers. Selling is a numbers game. Regardless of what you sell, you have to get your offer in front of a lot of qualified prospects, if you want to make sales. If you only talk to five to ten people a month about your network marketing business (or products), your business won’t grow. If you talk to 10 people a day, every day, about your network marketing business for an entire month, your business will explode. Here is a hypothetical example of what you might expect if you talked to ten people a day for an entire 30-day month. Once again, this is a hypothetical example and individual results will vary. As you improve your prospecting and selling skills, your conversion rate will go up. The # 1 reason that people don’t talk to enough people each month is because they don’t know how/where to find these prospects! That’s where lead generation plays an important role. Anyone who wants to build a large network marketing business has to learn how to approach people OR advertise their business so people will contact them. Until you do either of those two things, you will be at a stand still in your business. Personally, I think it’s best just to learn how to contact people. Most of us come in contact with hundreds of people each day. All we have to do is put a smile on our face and be friendly with some of these people, and we will have an endless flow of prospects. If you aren’t willing to prospect people, then you will have to learn how to advertise and generate your own leads. I have other articles about how to do that on this website, so feel free to read those articles. The bottom line is that you have to work the numbers to grow your business. If you want rapid growth and momentum in your MLM Business every month, you need to approach five to ten people per day, MINIMUM. The more the better. Do this consistently, and you will find plenty of new reps and customers for your team. Fail to do it and you will keep getting the results you’ve been getting. What are your thoughts about how many MLM Prospects you should approach every day? Leave a comment below to let me know what you think. *** This is part of a mini-series of Mark Yarnell quotes. Read the original post. Thanks chucks!!! Here is the hundredth time, I’m reading this article. Can you do me huge favor by answering to these questions? First, I want to know how to approach people properly in cold market ? Second, Is it about Contacting or inviting 30 Peoples every day or about presenting to 30 people every day according Marc Yarnell’s advise to become successful in a short periode of time? Mark talks about talking to 30 people a day, not doing 30 presentations a day. You can approach people by meeting people while you are out and about and strike up a conversation with them. Nice example to really draw the point home. I think some people might be overwhelmed by the idea of having to talk to 5-10 people daily, and I can understand because I used to be one of them. I wouldn’t say that I was shy, but I would say that I was reserved. However, for me it was about understanding how to maximize the opportunities in my life and take advantage of them. Each day we are in situations that offer us the perfect time to bring up our business. I stand in lines in stores almost everyday and I use those as opportunities. But you can also have events and hold meetings to talk to prospects as well. You don’t have to do all of this face to face. You can use Facebook, the phone and email as well. That helps a lot of introverts. I am a huge fan of leading with the product. If people are intrigued or motivated, they will ask you about the opportunity, but definitely introduce the product first. It does not even have to be a high pressure sales presentation each and every time you meet someone new. I have a friend who sells hand-made jewelry, and she takes care to always be seen wearing something that she made herself when she is out and about. The pieces are so beautiful that other women compliment her on them, which creates the perfect opportunity for her to pull out a business card and say “Why, thanks! I made this!” You can do the same by whipping out your Avon hand lotion to share around the office, or give a Scentsy candle as a house-warming gift. It is so easy. I agree that products first is a great way to go. hi im new to network markeing. Depends who you talked to and what you said! I wouldn’t talk about the business. I would talk about the products instead! This is a great post to give people some inspiration. I believe you hit on the biggest reason people will not approach others…the fear of rejection. I have a hard time understanding that, because how hard is it to accept a no and move on? I have discovered that in just talking with people, the conversation will always hit on a way you can “slip in” your business proposal. It always goes well in a casual conversation. When you just attack people with your proposal immediately, they will get defensive. By just talking with people, you can easily explain your proposal to 10 a day. It really isn’t that difficult. The sooner you can get a 100 NOs, the better off you will be. Every NO is a closer step to a YES. Yes, you are so right Chuck! A big key is finding a presentation that works with your personality. If we do not come off as spam artists, or worse yet, con artists, people will listen and give you the time of day. It may help to make a simple flyer that you can hand people after you discussed the opportunity that gives them the location of a presentation. Leave a number where they can RSVP. It is really very simple to talk with people, the barrier is our fear of rejection. Just beat that and you have solved 98% of the problem. Talk to enough people and good things will happen. That holds true in any business.